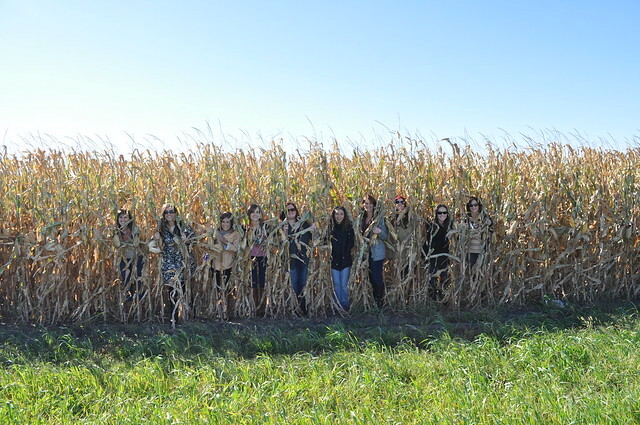 Sooooo remember that time I told you I went to Iowa to hang out in the cornfields with nine other bloggers and learn all about the corn industry in Iowa? OK, maybe I just told you about the cornfields part. Now I shall tell you the rest. A couple of weeks ago, I had the privilege to attend the Iowa CornQuest tour in Des Moines for a few days to experience all that Iowa has to offer, from its corn and livestock production to its generous, passionate people. Having lived and worked as a reporter in Iowa City for a couple of years, I was able to catch a small glimpse of this side of the state then, but nothing like what I experienced in these three days. I’ll be frank — going into this trip, I was skeptical of what I was about to experience, especially given what Elliott and I have learned and chosen as our preferred eating lifestyle: That is to say, eating mostly vegetarian foods, many of which are organic, and being discerning in purchasing animal products from places that promote the humane treatment and proper feeding of animals, etc. etc. But because there are almost always two sides to every story, I decided to go into the trip with an observant, open mind. I’m so glad I did. 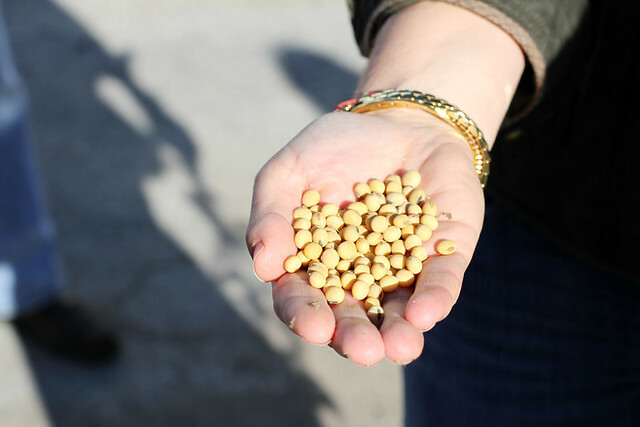 Because while yes, some of the trip touched on the controversy over GMOs, animal welfare, government subsidies and other hot-button issues, the strongest memories I came away with were remnant of the passion many of these corn farmers (and pork and beef farmers) have deep-down for what they do. And while I may not agree with every aspect of their jobs, I highly respect the hard work they put in daily to produce the commodities they provide. On our first night, we ate dinner at the Meredith Corporation (HQ of magazines like Better Homes & Gardens, I KNOW RIGHT) provided by the Iowa Pork Producers Association. 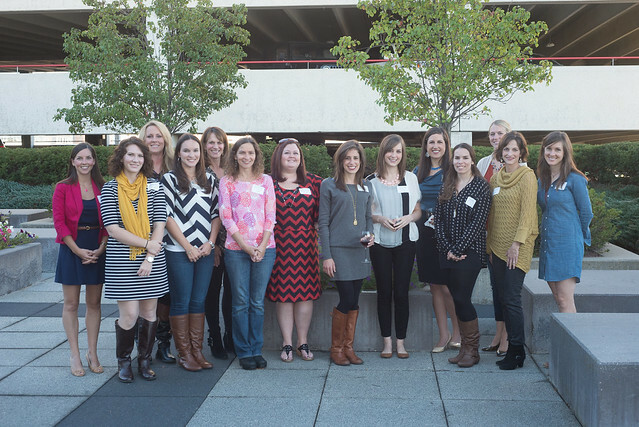 We briefly heard from local women farmers (and bloggers!) 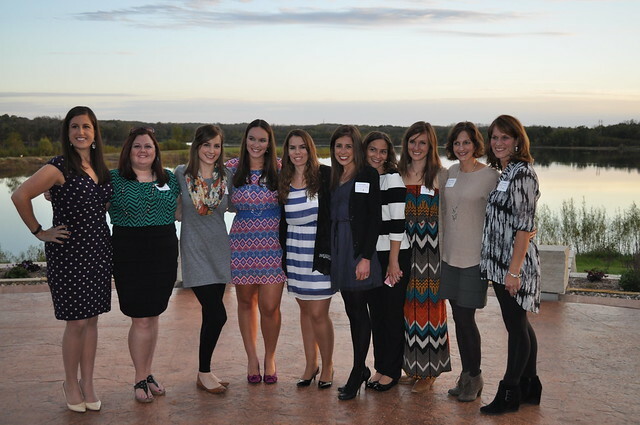 including Nicole Yoder, Cristen Clark and Erin Brenneman, who shared a bit about their stories as cattle or hog farmers (Cristen also told us about her award-winning caramel pecan rolls, umyummmmm). We also heard from Kristin Porter of Iowa Girl Eats, who shared a bit about the work she does for the Iowa Food and Family Project. The entire room radiated with the passion that these women have for what they do, and I was already energized to learn more about it in a way I never had the chance to before. On Wednesday, we had a jam-packed day filled with farm tours, delicious food and even a trip to the Iowa Speedway. 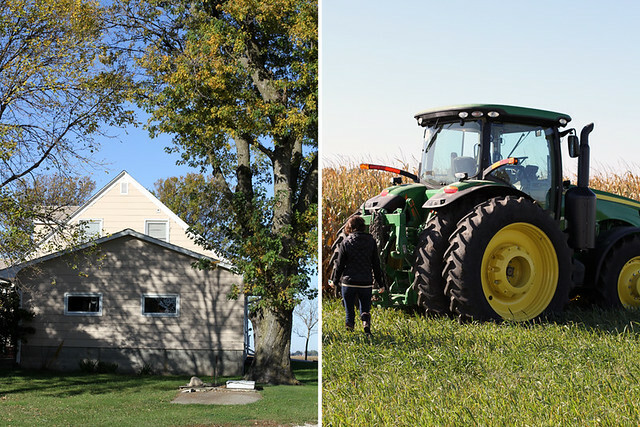 After partaking in cinnamon rolls and sticky buns the size of our heads (but seriously) for breakfast, we visited Mark and Julie Kenney‘s corn and soybean farm near Des Moines. 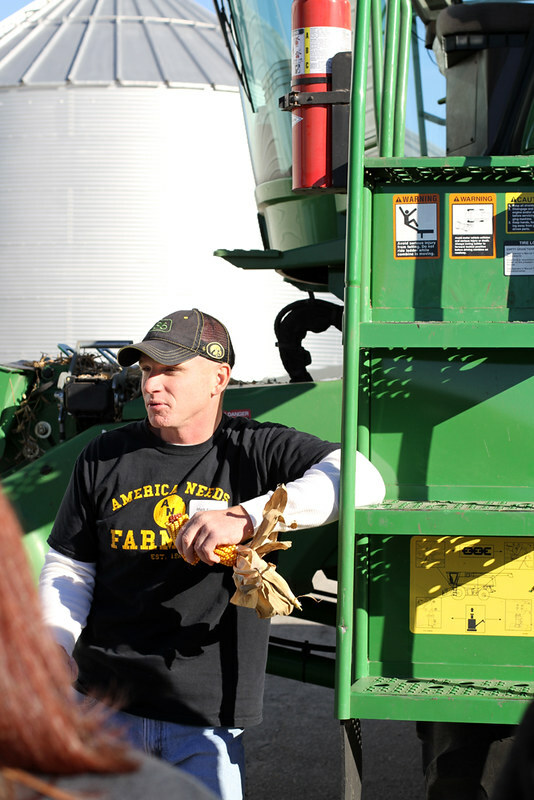 Mark explained to us just what, exactly, he does every day on his farm — currently, that is pulling 14 to 16-hour days in the harvest. To him and Julie and most of the farmers we met, no matter what kind of farming it is, that work is mostly about investing in future generations. It’s also about community, he said, explaining that when Julie’s father recently found out he had terminal cancer, the neighboring farms immediately offered casseroles and assistance on his farm. We continued our tour with a visit to Bill Couser’s farm, where we enjoyed lunch and learned Bill’s passionate perspective on cattle, corn, ethanol and sustainability. It was here I learned the most about just where, exactly, all of this corn being produced really goes (and in what forms). Like how Iowa produces most of the country’s corn, but only 1% of it is the sweet corn kernels you and I eat. 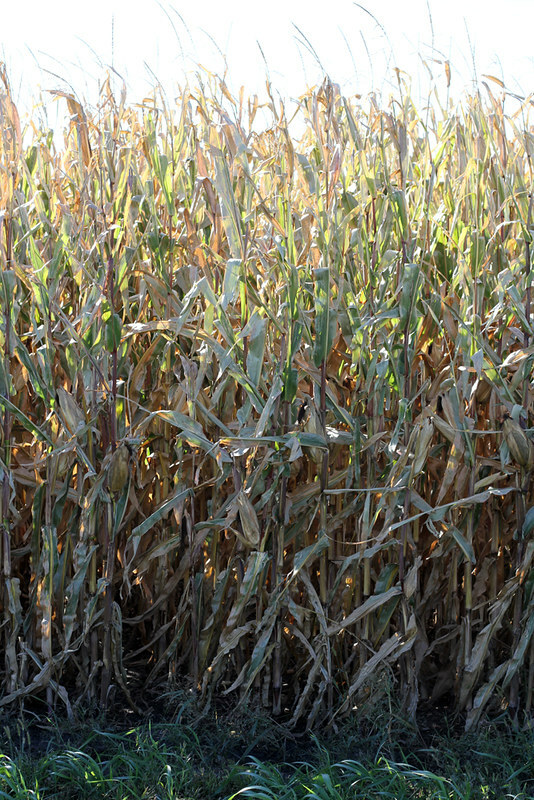 The rest of it is field corn, which then becomes animal feed, ethanol, corn syrup, cornstarch, etc. 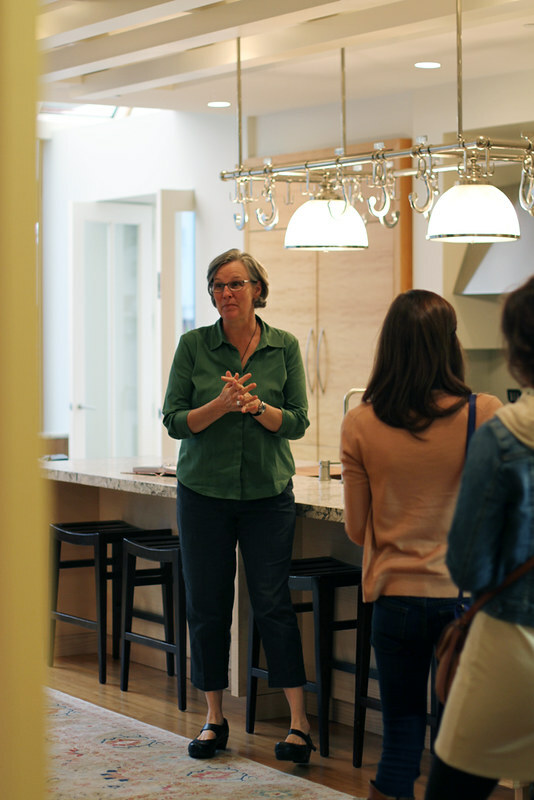 It’s also where we met with Dr. Ruth MacDonald, a professor and chair of the Food Science and Human Nutrition Department at Iowa State University. Our Q&A time with her discussing anything from obesity to processed foods to the “organic” label on produce was truly enlightening, and honestly left me with more questions than answers. One thing I did come away from it with was the realization that many of us are grossly mis- or undereducated about where our food comes from, myself included. That night, we enjoyed dinner from the Iowa Beef Council and learned more about the cattle industry and production, including the nutritional differences between grain-finished and grass-finished beef and beef sustainability statistics and practices. We also met bloggers and farmers like Sara Ross who, in addition to working the land with her husband, also raises two little boys and works outside of the house/off the farm (oh, AND blogs). In fact, her lifestyle, she told us, is very normal and common among farm wives. So whenever I’m about to cry trying to lift my cast-iron skillet off the stovetop (but really, it’s hard), I’ll remember these hardworking women who manage to do so much more with smiles on their faces. 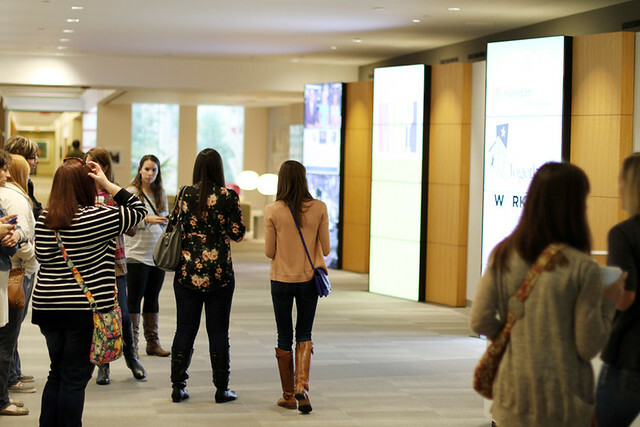 On Thursday, we were given a tour of the Meredith Corporation. It was so fun to see kitchens where many of the Better Homes & Gardens’ recipes are created and learn more about the process of what goes into a magazine issue — like how they’ll sometimes start with a color palette to craft their stories, or how many of the recipes are planned up to a year in advance with three to five testings by a taste panel. We finished off the day by gathering in the kitchen together to make a meal of our best corn recipes on our blog, and I’m fairly certain that lunch was the best meal I’ve had in ages. There is so, so much more I could say about this trip but I will spare you the novel and stop there. All in all, the trip was definitely eye-opening and enlightening and while some of my perspectives about food remain unchanged, there are plenty of new questions I still have to explore. A huge thanks and big hug to the people of Iowa for this incredible journey through the cornfields! Now I need a nap. Disclosure: I was provided a paid trip through Iowa Corn. All opinions are my own. AMAZING recap. So, so happy I got to share this experience with you! So interesting Stephanie! I’m a Des Moines native myself but this is still new information to me! Thanks for sharing your experience. We eat a lot like you but instead of buying it, we produce it! I love being in control of our food and the quality (of the food as well as the lives of our animals). It was fun to see a little peak at where most of the rest of the country’s food comes from! So much fun!!! The one time I went to a dairy farm, my favorite part was discussing all the GMO/hormone/organic stuff too! It is so interesting to hear the perspective of people who work so passionately on a different side of the argument. I don’t think there will ever be a easy solution to the GMO/ organic debate. All industries have their positive and negatives. We have to just make the most of it until the new scientist develop the way of sustainable product that does not reduce yield. Looks like so much fun to learn new stuff. 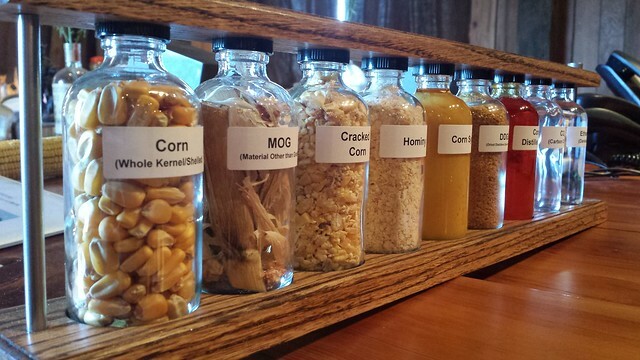 Your trip to “Cornquest” in Iowa was very enlightening but not surprising. I grew up in Ankeny, which during the 50s and 60s was a farm community. One of my best friends is married to a long-standing farm family and they raise White Park cattle. 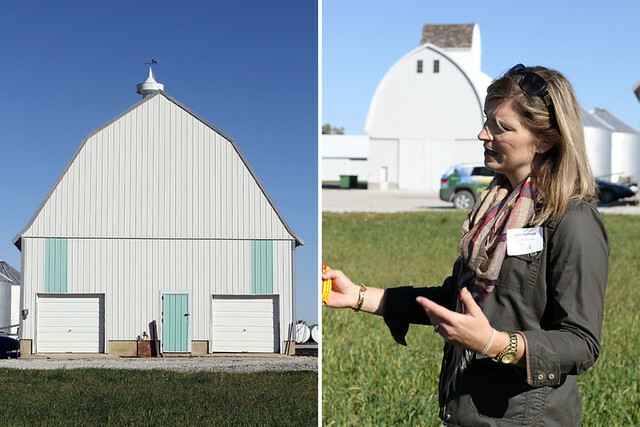 Their farmsteads (and there are many) make up some of the largest farms in Iowa. They are very good people who have high standards in raising what they do (not just cattle). Iowa is the friendliest state in the country if you ask me. I don’t know if it was last year or this that Des Moines was rated as the number one city in America to live. Ankeny has also been high on several “best” lists. Ankeny is definitely not just a farming community the way it used to be, but it’s still a wonderful place to live. I left in 1981 and have wanted to move back ever since 1983. I miss everything about Iowa. You can’t find a more warm and hospitable state. Looks like fun! Great recap. I appreciate your honesty and graceful handling of what is obviously a controversial topic for you and many others. Beautiful foods and looks awesome! I’m so glad to see you had a great trip to Iowa! I loved following along on the adventure! 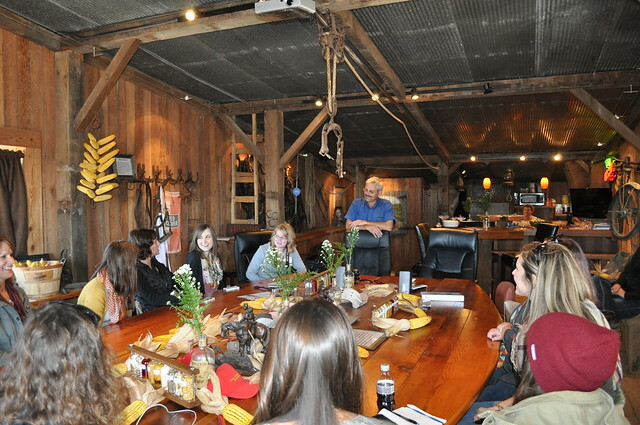 Thanks for visiting our farm and for your great recap, Stephanie. It’s been a tough harvest for us with my dad so sick and the wet weather, but I’m glad you got to see a (somewhat) normal day on the farm. And you’re right, everything we do is about leaving the land better than when we got it so our kids have the opportunity to farm someday (if they choose!). Julie — Thank YOU so much for having us on your farm during the tour! It was such a new, enlightening experience for me that I’ll never forget. Best of luck to you and your family this harvest and beyond. You photos are awesome! What a wonderful recap! Hi! 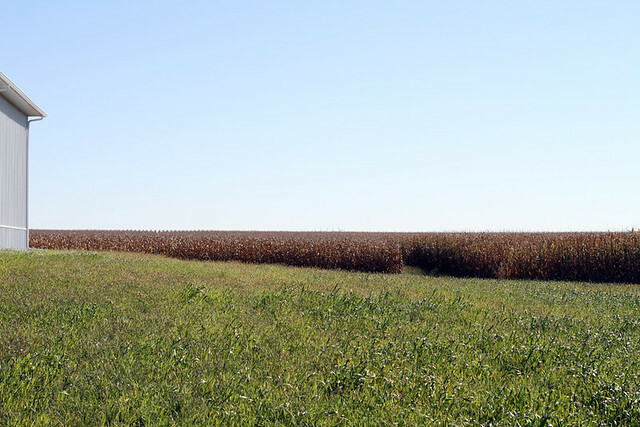 I’m an Iowa girl, now living in southeast Missouri – this post sure makes me miss home! 🙂 And I’ve GOT to try those muffins, YUM!